The Boys From New Jersey Return for Kings! 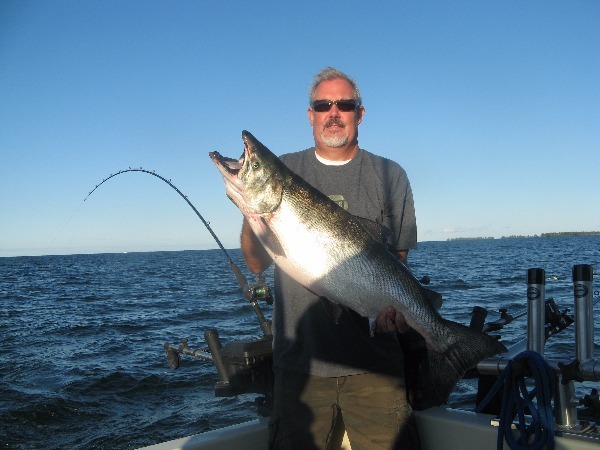 For the 16th season, our boys from New Jersey, Nigel, Pete, Jimmy and Dave returned to fish Lake Ontario for the treasured King Salmon. The crew wanted to stay on the Kings all day and the result was 4 nice Kings with two of them tipping the scales in the high 20 pound range. Also a Brown Trout was caught as a bonus fish along with the Kings. These die-hard fishermen always seem to enjoy themselves aboard the Milky Way and we always look forward to them fishing with us! 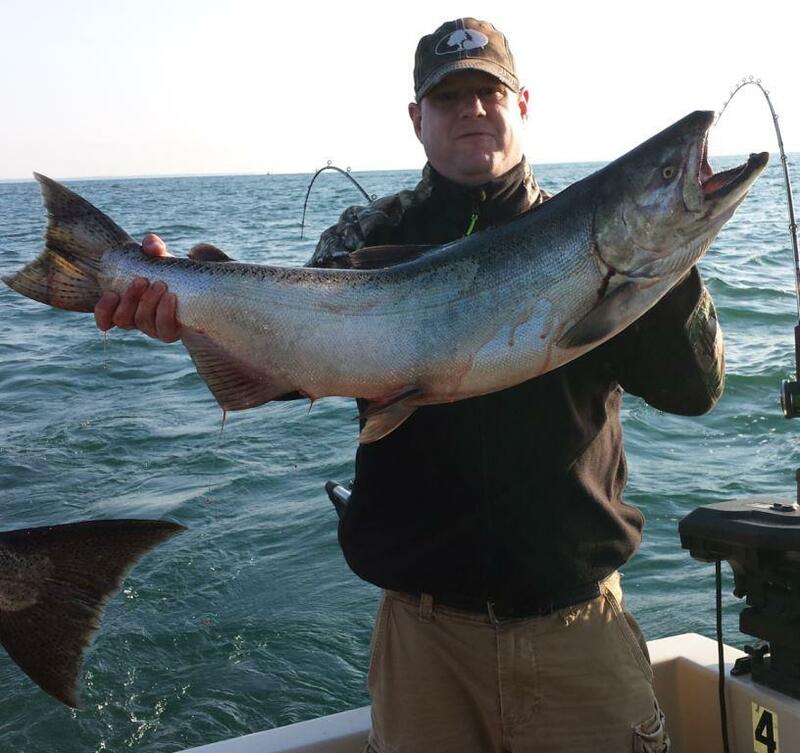 Big King Pushing 30 Pounds Headlines Marc Albano Charter! 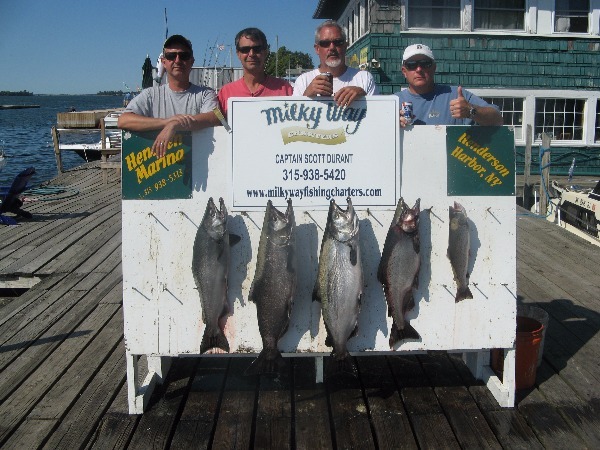 Marc Albano and party returned to charter with the Milky Way again this season to target the King Salmon. 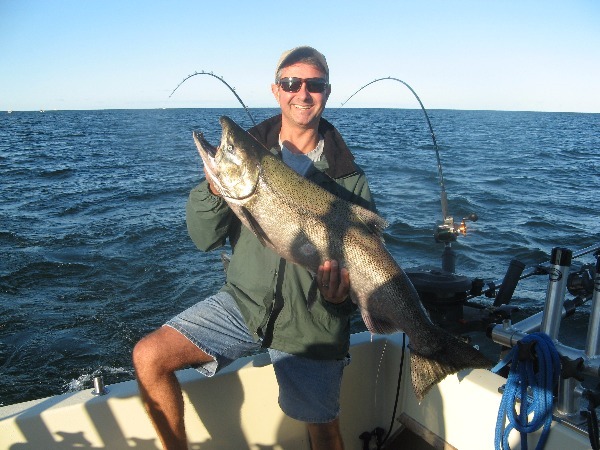 Jeff Koons Party Limit Out on Lake Trout! Jeff Koons and party has been fishing with the Milky Way for several years now and knows the ups and downs of King Salmon fishing. On Sat., Aug. 27th, he returned to try his luck at Salmon fishing.